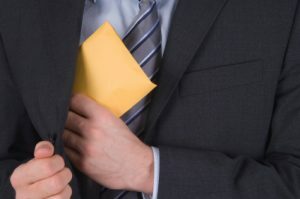 After some considerable delay, the Bribery Act 2010 came into force on 1st July 2011 and applies throughout the UK i.e. including Northern Ireland. The question for many businesses, particularly those dealing with other businesses or with government officials will be: what do I need to do? 3. Failing to prevent a bribe being paid on an organisation’s behalf. If you have a small business that operates only within the UK, it is quite possible that the Bribery Act will have no impact upon you at all. As your business increases in size and deals with more third parties, such as contractors, agents and partners, that situation may well change, especially if you are seeking to win contracts abroad. Despite concern amongst the business community that the Act would put an end to corporate hospitality and business entertainment, the Ministry of Justice guidance makes it clear that reasonable and proportionate business expenditure is acceptable. Bona fide entertainment is a legitimate and normal business practice and its importance is acknowledged in the guidance. Tickets to Wimbledon, trips to shows or dinner in a restaurant are still considered acceptable; however a common sense approach should prevail. The higher the cost and the more frequent and lavish the hospitality the more suspect it becomes and the greater the risk that it could be construed as a bribe. The best safety net for any business is to have a clearly defined policy which sets out what is responsible and proportionate within the context of their unique operations and has been communicated from top to bottom and throughout partners and agents. Once the policy has been established and communicated, it’s vital to have adequate controls in place as well as total transparency through a clear system of records to ensure it is being adhered to. If you have any concerns about the impact of this legislation on your business, we shall be happy to advise on appropriate polices and procedures. For more information on the Bribery Act please contact us here at M.B. McGrady & Co.